This bulgalow is situated two minutes walk from the centre of the town. The garden is over a third of an acre and represents exellent value for money at only £4700. Although the foundations are the only thing remaining, this property is worth every penny in this sought after area. The property is situated right on the road in the centre of the town, and sits on half an acre. The foundations are granite, and the property retains full planning, very good buy. 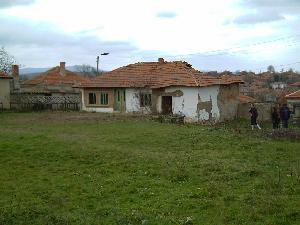 Radovets is in an area of outstanding natural beauty, and is attracting both Bulgarian and British investors. The town is well placed for tourism, holiday & retirement homes and adventure holidays.